Denise Mann has been the head of the UCLA School of Theater, Film and Television’s Producers Program since 1996 and is a professor in the Department of Film, Television and Digital Media. In that capacity, she teaches graduate and undergraduate courses on contemporary entertainment industry practices as well as critical studies seminars on film and television history and theory. She is the editor of Wired TV: Laboring Over an Interactive Future (Rutgers University Press, 2014) and the author of Hollywood Independents: The Postwar Talent Takeover (University of Minnesota Press, 2008). Previously, Mann co-edited Private Screenings: Television and the Female Consumer (University of Minnesota Press, 1992). 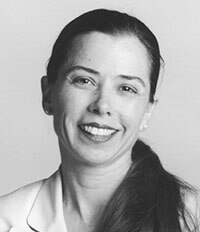 From 1986 to 1992, Mann was an associate editor of the feminist and film theory journal Camera Obscura. 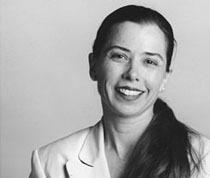 She has written essays for numerous anthologies, including Production Studies: Cultural Studies of Media Industries (eds., Caldwell, Banks, Mayer; Routledge, 2009); and Different Visions, Revolutionary Perceptions: Race, Gender and Sexuality in the Work of Contemporary Filmmakers (ed., Bernardi; University of Texas, 2009). She has written essays for a number of scholarly journals including Camera Obscura, Quarterly Review of Film and Video, Journal of Popular Film and Television and Flow. Mann serves as a consultant to UniJapan (a non-profit trade organization commissioned by the Japanese government), Creek & River Co., a media management firm in Tokyo, and has served on the board of the Association Internationale des Medias (AIM) in Paris. In addition to speaking at annual scholarly conferences, Mann routinely delivers lectures on the contemporary entertainment industry. She has appeared at a number of high-profile events, including international film festivals and conferences such as the Tokyo International Film Festival and Shanghai International Film Festival, and at major universities in Asia and Europe such as The Communication University of China, Shanghai University, University of Paris 1, Pantheon-Sorbonne and Institut National de L'Audiovisuel (INA). Mann also serves as the principal investigator of the UCLA TFT Digital Incubator and Thinktank (DIT) funded by the Paris-based global media company Havas Media Group (2014-present). Mann received her B.A. in English Literature at the University of California, Berkeley; and her M.F.A. in production/directing and Ph.D. in Cinema and Media Studies at the UCLA School of Theater, Film and Television. Video: Hollywood the Indestructible, a documentary by Wichita Films, featuring Denise Mann. Video: "FTV 84A: Contemporary Hollywood Film Industry," demo of online course lectures by Denise Mann.